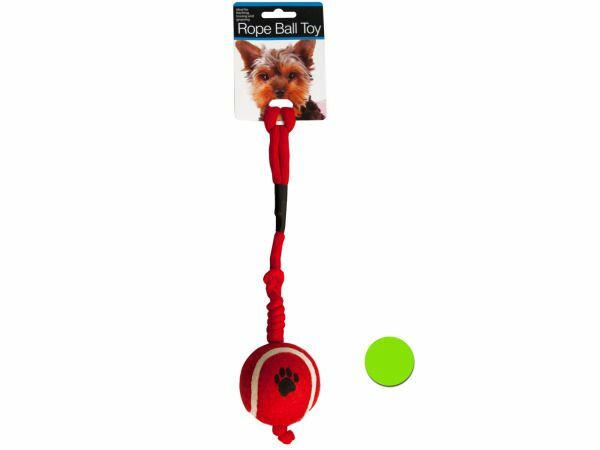 Ideal for fetching, tossing and gnawing, this Rope Ball Dog Toy features a paw print tennis ball connected to a coiled cotton rope with a large loop for throwing. Measures approximately 10 long. Comes in assorted colors. Comes packaged to a hanging panel.